If you have install and configure xampp on ubuntu or any other linux distribution you might have use terminal for various operation like start and stopping lampp. However Xampp on windows have some graphical interface for this operation. You can simply add graphical user interface for xampp in ubuntu with few codes and tricks. Adding graphical interface gives you flexibility as well as provide simplicity to use the program if you find yourself uneasy messing with the command. therefore here is the quick tutorial to add graphical user interface for xampp on ubuntu. 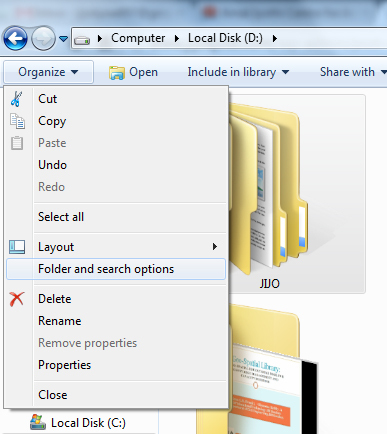 Finally, select ‘View’ tab and in ‘Advanced settings’ choose ‘Show hidden files, folders, and drives’ and press "ok". Once in a while if something goes wrong in Ubuntu, you usually get the error screen that reads ‘Sorry, Ubuntu 12.04 has experienced an internal error’. This feature is added to Ubuntu by default and is there to help Ubuntu gather information about issues and create a fix for them. It’s recommended that you don’t disable it as it helps Ubuntu develop better software. Even though you’re advised not to turn it off, that option is there when you need it.